Oil refining process. Crude oil just extracted from the well in its original form has a very limited application. Therefore it is processed before it arrives on the market in the form of gasoline, fuel oil, aviation fuel, etc. In the early stages of the oil industry the refining process was reduced to primitive distillation. The “black gold” was brought to the boiling temperature, with condensation of the oil products at different boiling points. Nowadays, oil refining is influenced by technological progress, and at the same time by the tightening environmental regulations. 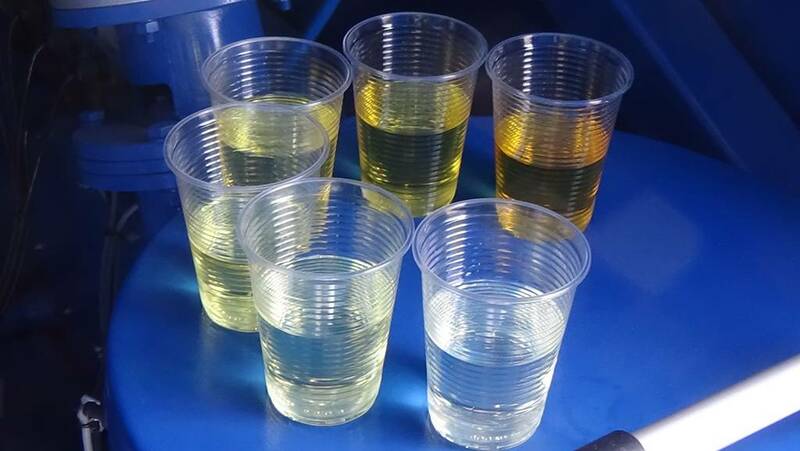 Preparation of oil for refining includes optional dehydration and salt removal to reduce corrosion of equipment and improve the quality parameters of oil. The composition of crude oil includes various hydrocarbons, each of which has its value. That is why in the first stage the crude oil is separated into components by high temperature distillation. This method works because each component has a different condensation temperature and it can be condensed separately. Some of these components are ready to be delivered to the market. Other components are subjected to further processing to receive more expensive oil products. Simple distillation removes small particles and adjusts oil chemical properties. The more complex transformations such as cracking and conversion is performed at large oil refineries. They produce higher quality oil such as petrol, and reduce the output of cheap oil such as black oil fuel and asphalt. Oil refineries are located in close proximity to the source of raw material, oil pipelines, distribution points, and available labor and energy resources.